Who is ready to laugh? Comedian Shin Dong Yub takes on a lead role in tvN’s upcoming drama Big Forest. 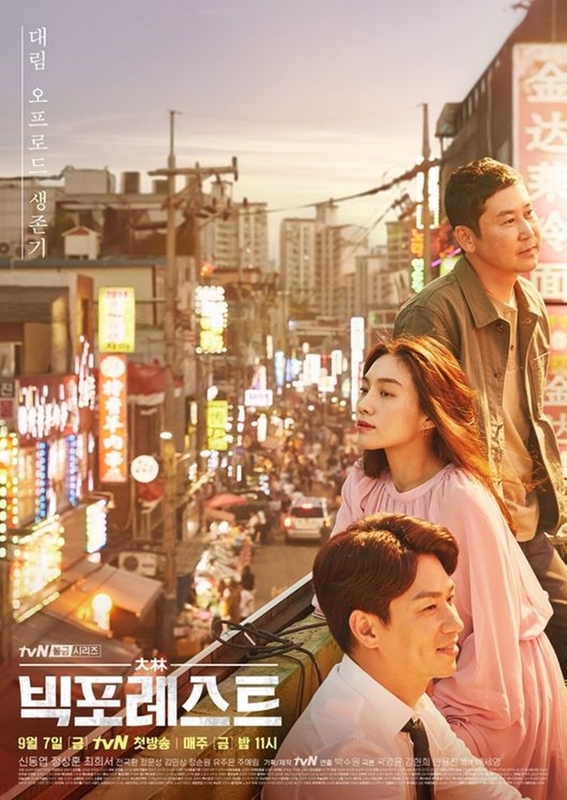 Big Forest is about former top star Shin Dong Yub (Shin Dong Yub) and loan shark single father Jung Sang Hoon (Jung Sang Hoon) who live and struggle together in a Seoul neighborhood. This will probably be a good lesson in why saving for an unknown future isn’t such a bad idea. Are the lead characters named after the actors? They sure are. 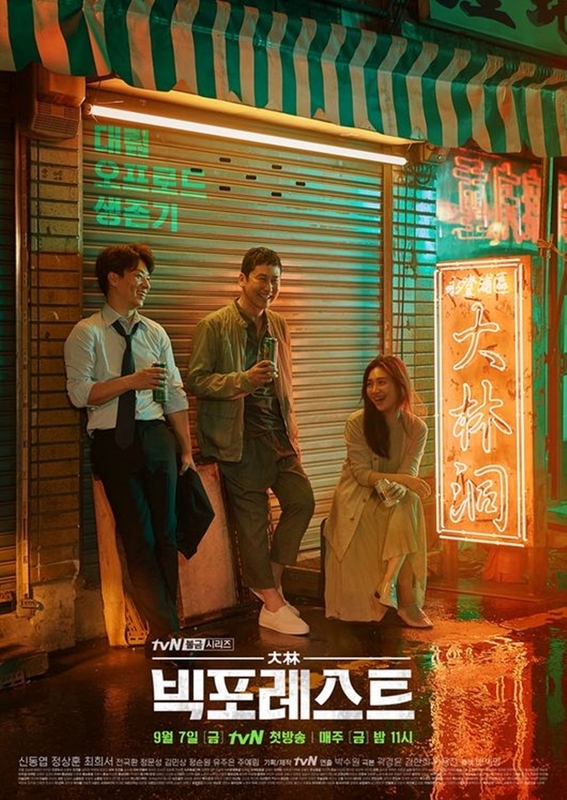 And there’s a reason because this is apparently a mix of a drama and a variety show which kind of makes sense as the lead actors are variety show veterans. They are joined by Choi Hee Soo (Mistress), who will be playing Im Chung Ah, a single mother. Is it just me or are these posters really great? They immediately put a smile on my face and made me wish this were a straight drama and not some new drama/variety mix that tvN decided we all need in our lives. Simply because it would probably have a lower chance of flopping. But change is good so I should stop whining and hope this new show lives up to its posters. Big Forest is scheduled to air on Fridays starting September 7th on tvN.